While enjoying the festivities at FMCA’s upcoming “Wanted In Wyoming” convention, don’t miss these fine performers. Coming soon: summer! For many RVers, part of the fun during this season is attending an FMCA convention — such as the 98th International Convention & RV Expo set to take place July 18 through 21, 2018, in Gillette, Wyoming. FMCA returns to Gillette for an encore performance; the first time was in June 2013 to celebrate the association’s 50th anniversary. While enjoying the charms of the Equality State and the amenities of Cam-Plex Multi-Event Facilities — the venue hosting FMCA’s “Wanted In Wyoming” convention — attendees will be treated to some great live entertainment. Check the Gillette convention program, FMCA.com, and the Gillette convention app closer to the event for news of additional entertainment options and activities. For now, here’s a sneak peek at the lineup. Although the Texas native has completed four European music tours, his roots run deep in the Lone Star State. In fact, an annual three-day music festival in Luckenbach, Texas, even bears his name. 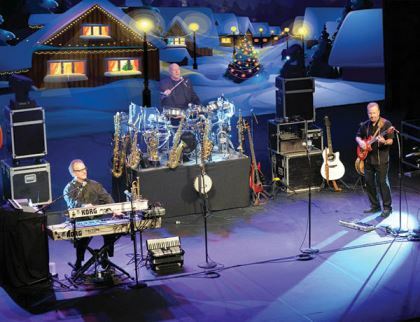 Attendees of past FMCA conventions may remember spending a delightful evening with “three guys — 30 instruments.” That would be the group New Odyssey, which returns to the convention stage on Thursday, July 19. The trio plays myriad types of music that spans five decades, up to and including the hits of today — everything from Glenn Miller and Gershwin to Billy Joel and Bruno Mars — in an all-ages show. The group mesmerizes with their varied skills. Gary Todd, drummer and comic, sings and plays more than 15 instruments. He has been described as hilarious, outlandish, and totally unpredictable. Michael Jay, the vocal strong point, plays 10 instruments and also composes music. Gary Polkow, pianist and New Odyssey’s musical director, also is experienced in film, synthesizer sound design, and choir direction. The nearly three dozen instruments the trio plays include pocket trumpet, bass trumpet, sousaphone, melodica (picture a keyboard with a mouthpiece), accordion, and banjo. The gents’ light, offbeat humor and friendly audience interactions add to the fun. The FMCA audience might be lucky enough to witness some hallmark numbers, such as 10 Beatles hits in 10 minutes (with 30 instruments), or Iron Butterfly’s “In-A-Gadda-Da-Vida” played with a drum line. 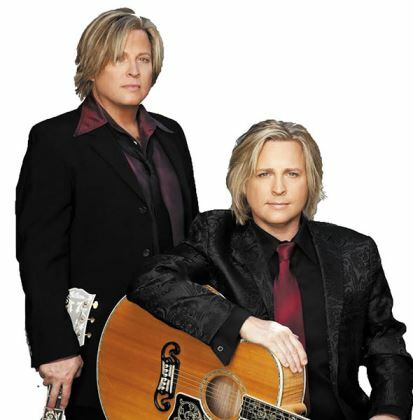 On Friday, July 20, many in the audience will travel back to their teenage years with the multimedia presentation Ricky Nelson Remembered Starring Matthew and Gunnar Nelson. Matthew and Gunnar are twin sons of Rock and Roll Hall of Famer Ricky Nelson, and are the grandsons of 1950s TV icons Ozzie and Harriet Nelson. They’ll perform many of Ricky’s hit songs from the 1950s and ’60s, including “Hello Mary Lou,” “Travelin’ Man,” and “Garden Party.” The retrospective also includes video footage of the Nelson family, along with interviews of celebrities who were influenced by the teen idol. As a rock-and-rolling teenager on “The Adventures of Ozzie and Harriet” TV program, Ricky and his older brother David acted out their real-life roles as Ozzie and Harriet’s sons. 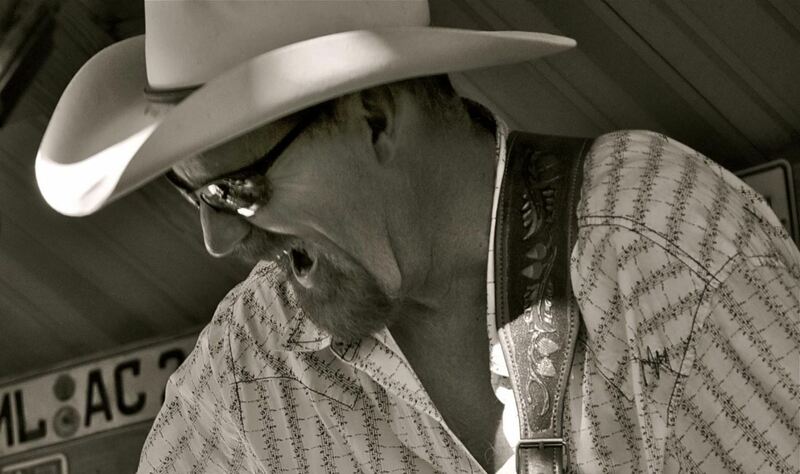 Ricky matured into a mellow-voiced singer/guitarist, leaning toward the country-rooted side of rockabilly music. His prolific career included three dozen hit songs. Matthew and Gunnar have carried on the family music tradition with their rock band, Nelson. They have five Top 40 Billboard hits of their own, including their number-one “(Can’t Live Without Your) Love And Affection.” But they created the touring show to celebrate the TV Nelsons and to spotlight the career of their legendary father. 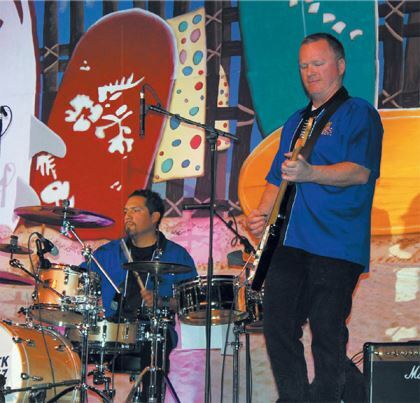 On the final night of the Gillette convention, get ready for some old-time rock and roll as The Flashback Boyz shake the stage with hits from the 1950s, ’60s, and beyond. This Southern California band has been movin’ and groovin’ for more than 10 years. The “Boyz” band includes a quartet of talent: Manny Alvarado, lead singer and rhythm guitarist; Herbie Langston, bass guitar and backup singer; Eric Willman, lead guitarist; and Dominic Jimenez, drummer and backup singer. During morning Coffee Hour, attendees will be able to enjoy complimentary doughnuts and coffee provided courtesy of Roadmaster Inc. while being entertained by the Frustrated Maestros, a dedicated group of musicians and vocalists. 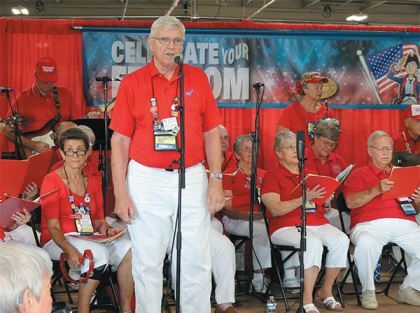 Easily recognizable in their red-and-white outfits, these fun-loving performers hail from FMCA’s various Frustrated Maestros chapters and proffer music from all genres and time periods. The Frustrated Maestros also will provide a musical treat during the Ice Cream Social on Friday, July 20. 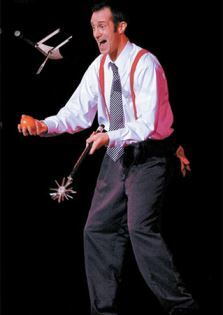 A laugh-fest will ensue when comedian-juggler Nels Ross takes the stage. The self-proclaimed “Chief Executive Oddball” will entertain adults and kids at separate performances on Friday, July 19. He quips that his target audience is anyone within throwing distance. Prepare yourselves for one-of-a-kind, knock-your-socks-off comedy, juggling, and stunts from this clean comedian. Stay tuned for more fun, games, and entertaining moments to be added to the Gillette convention schedule. For now, remember: You’re “Wanted in Wyoming” from July 18 through 21.